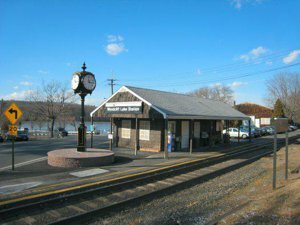 Located 18 Miles outside New York City in Bergen County, New Jersey, Woodcliff Lake is home to approximately 5,800 residents who enjoy excellent schools as well as a country style living with large properties and tree-lined streets containing many estate sized homes. The borough mandates a minimum 22,500 sqft lot size on most single family homes with many properties being even larger. Woodcliff Lake is bordered by Montvale, Park Ridge, Saddle River, River Vale, Hillsdale, & Upper Saddle River. A large reservoir lies within the borough and also partially from where the towns name is derived from. Woodcliff lake real estate ranges from 3-4 bedroom Center Hall Colonials as well as Split Level & Bi-Level homes up to 5,000-7,000 custom built estate sized homes on incredible over-sized building lots. This is truly a community where you can find the home of your dreams. Be the first to know of new listings in the Woodcliff Lake real estate market. Simply sign up for free e-mail updates and you'll receive instant alerts as soon as new homes that meet your criteria come on the market. You'll also be notified of price changes for any homes you've already viewed. Call/Text Tom Mayer at 201-637-7484 for immediate assistance to view a home today. Listing courtesy of Joyce Realty. Listing courtesy of Premier Brokerage, LLC. Gables at Woodcliff Lake Bldg. Listing courtesy of Pulte Communities of NJ Limited Partnership. Courtesy of A1 Preferred Realty Associates, Inc. Listing courtesy of A1 Preferred Realty Associates, Inc..